The “dog days of summer” are here, and in many parts of the country this translates into soaring temperatures and uncomfortable humidity levels. Excessive heat and humidity can pose a serious health risk to your family and pets, as well as do damage to your home’s floors, furniture and woodwork. To protect your loved ones and your home or apartment during the warm summer months, you need devices that let you monitor both the temperature and humidity when you’re at work, school or away on vacation. Remote control temperature alarms and thermostats offer a reliable way to monitor temperature and humidity levels in your primary residence, RV, boat or unoccupied vacation home — no matter where you happen to be. A temperature alarm sends an immediate alert to your phone or mobile device when the temperature in your home begins to climb. 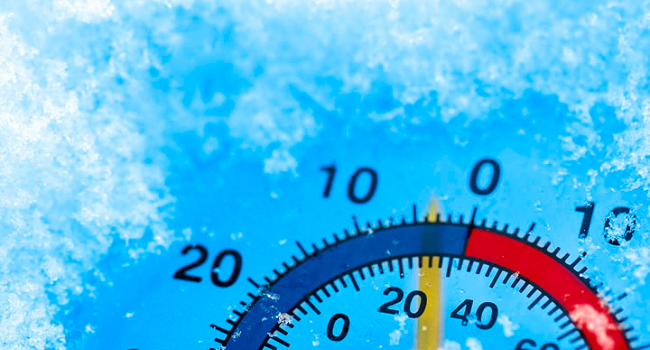 There are several types of temperature alarms (also called “heat alarms” or “freeze alarms”) and different ways that they communicate, including by WiFi, cellular or landline phone connections. Here are four good reasons for using a temperature alarm to help beat the heat, along with a recommended model for each scenario. 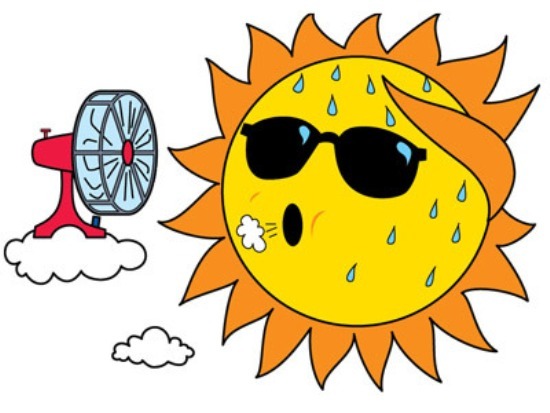 Summer heat can quickly become a health hazard for seniors because their bodies can’t adjust to changes in air temperature — especially heat — as quickly as those of younger people. 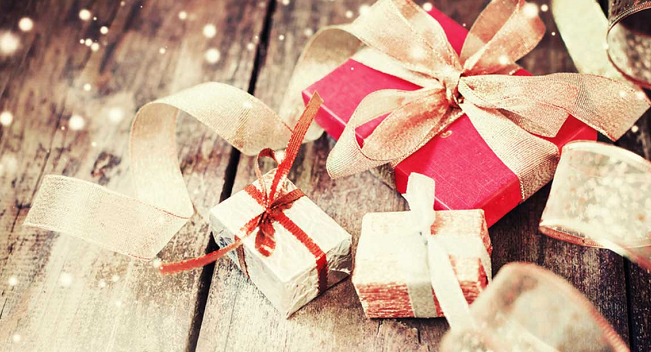 With a temperature alarm in place in the home or apartment of senior family members, you can program it to send you a notification if the temperature exceeds a healthy threshold. Recommendation: HomeSitter Temperature, Water, and Power Alarm that calls up to three phone numbers and uses a landline phone connection. Bonus features include power outage and water alarms. Bring a temperature alarm with you when you’re traveling with your pet. If you have to leave them behind in your rental house or RV while you are out exploring, the temperature alarm will send you an alert if the air conditioning fails so you can rescue your furry friend before they succumb to heat stroke. is portable, plugs into any outlet and works wherever there is Verizon wireless service. 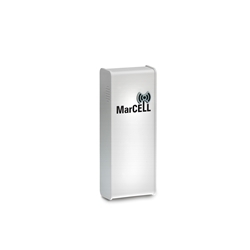 Includes a built-in rechargeable battery and also monitors humidity and power. Use a temperature alarm to monitor pets left home alone while you travel, including temperature-sensitive pets like fish, snakes and turtles that live in an aquarium or vivarium. Your temperature alarm will notify you if their environment changes and the temperature begins to rise or fall. Recommendation: La Crosse Online Temperature and Humidity Wireless Alert System that monitors the environmental conditions in a pet’s tank and sends e-mail or text message alerts if there’s a problem. Whether you’re running a large commercial growing operation or have a small backyard greenhouse, keeping your plants alive and healthy requires the best possible growing environment. 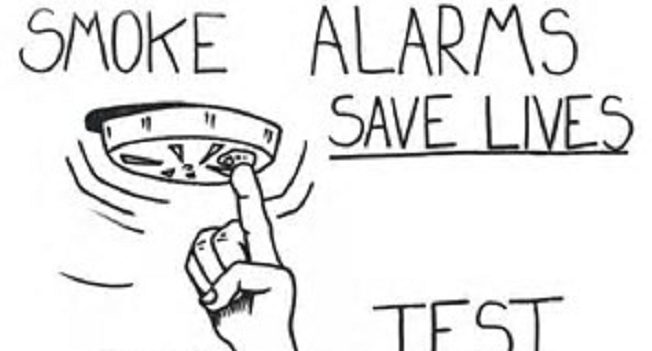 Use a temperature alarm to receive alerts if the temperature gets too warm. Most temperature alarms also allow to you to call in or check online to get the current temperature. 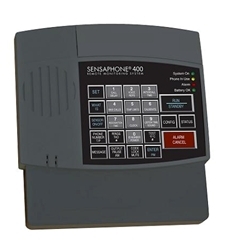 Recommendation: Sensaphone Sentinel Monitoring System with Cellular Modem tells you the exact temperature when it sends an alert message and is the perfect solution for remote locations lacking an Internet or landline connection. High indoor humidity can lead to a host of problems if it’s not addressed, including mold and mildew in carpeting and drywall, warped wood floors and furniture, and bubbling and cracking of painted walls. Ask any Floridian and they will tell you that running the air conditioner is one of the most effective ways to control humidity levels. Using a remote thermostat to regulate your home’s central air conditioning system easily solves the dilemma of monitoring and controlling indoor humidity when you are away or when your vacation home is unoccupied. There are several types of remote control thermostats to choose from and capabilities can vary from model to model. Some newer models allow you to monitor humidity levels in addition to temperature. To control the humidity in your home long distance, you will need a remote thermostat + a central air conditioning system. You will also need to consider how you want to contact your thermostat. Some remote thermostats communicate via the Internet (wired or WiFi) and others use a landline phone connection. The types of remote thermostats that will work in your home are dictated by which methods are available at your location. Many homeowners choose a WiFi thermostat or Internet thermostat so they can control temperature and humidity from anywhere using a smartphone or computer. If you want to use a WiFi or Internet thermostat, your home must have full-time Internet service. WiFi thermostats also require a wireless router. The BAYWeb series of Internet thermostats, which are available with a humidity sensing function, are examples of wired Internet thermostats. BAYWeb thermostats connect to your router with an Ethernet cable. 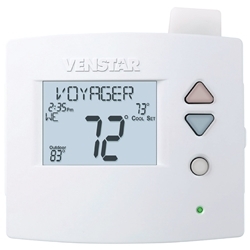 For a wireless system, the Venstar Voyager Residential Digital Thermostat with WiFi/ZWave/Zigbee Capability is one of the most popular WiFi thermostats. For homes without Internet service, a phone-controlled remote thermostat that communicates via a landline phone connection can be used to regulate high humidity remotely . If you choose this type of remote thermostat, remember you won’t be able to turn the phone off during the months you’re away as many second homeowners often do. The Sensaphone 400 Cottagesitter paired with an Aube thermostat and a humidistat humidity detector is one popular landline phone option. The Venstar Comfort Call Phone Controlled Thermostat Kit is another example of a phone-controlled remote thermostat. In addition to air conditioning, running a dehumidifier is another effective way to reduce moisture in the air, especially in hot, humid climates. In an unoccupied home, install a whole home dehumidifier to your home’s AC system. You can also hook up a drain hose to a portable dehumidifier so the water flows continuously into a sink or other suitable drain. You can install a humidistat that automatically turns the air conditioner on when the humidity in a room or house reaches above 70 percent. To ensure that your A/C is running when you’re not home, use a temperature alarm to receive immediate alerts. 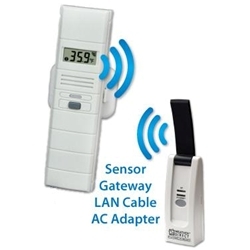 Temp Stick WiFi Temperature & Humidity Sensor is an affordable WiFi-Internet-based solution for monitoring humidity and temperature in your remote home or vacation property. No phone line is required. The combination of a remote thermostat and temperature alarm is one of the best ways to monitor and control heat and humidity — and a worthwhile investment for protecting the people, pets and places you value most.